Delta Air Lines and Air France/KLM are already in an unholy airline alliance called SkyTeam. That alliance, while approved by the Department of Transportation (DOT), is part of DOT’s alliance and joint venture efforts that have been fought against by the Department of Justice (DOJ) for years. Now, the airlines are making their financial entanglements stronger than ever. Travelers United thinks they are too strong and that they have become defacto merged airlines and need to be assessed as such. The rise of antitrust immunity (ATI) in the early 1990s, with the first ATI grant from DOT, allowed KLM and Northwest Airlines to coordinate their flights, airfares, and schedules. This was allowed in the name of passenger convenience and long-term savings using an esoteric economic argument called “double marginalization,” that these arrangements will lower costs for consumers on international routes. Unfortunately, economic theory be damned, it didn’t work. Transatlantic airfares eventually became captive to an oligopoly of three airline alliances — SkyTeam, Oneworld, and Star Alliance. 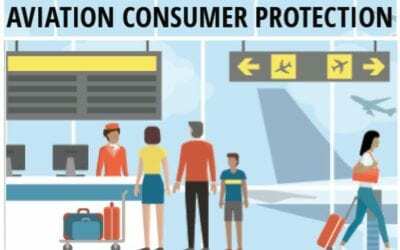 The three alliances allowed to grow under DOT protection as protectors of consumer travelers used their power only to restrict travel choice for years, prop up high airfares, restrict capacity, and limit new routes. These actions, unsurprisingly (except to DOT economists wedded to their theories), were used strictly to increase profits and harm consumers by eliminating baggage transfers and through check-ins on international routes with government-granted antitrust immunity. The airline alliance/joint venture actions are specifically designed to punish travelers who choose to fly on airlines outside of these DOT-enabled alliances and to limit consumer choices while furthering the joint-venture alliance profits. After years of government dithering over allowing other airlines to compete with the established alliances, Norwegian International Airlines had a chance to compete on price with the entrenched airline alliances. The concept of competition, long relegated to the dustbin of DOT enforcement protocols, finally was allowed to work within the international marketplace. Initially, the Middle Eastern airlines made inroads into the fast-growing markets of South Asia and southern Africa. This region of the world has the fastest growing middle class and national economies in the world. Unfortunately, US carriers ignored this entire fast-growing region, leaving service to their European alliance partners. Eventually, Norwegian International Airlines was allowed to start regularly scheduled service between the USA and Europe. At the same time, smaller international airlines such as Wow!, based in Iceland, began low-cost air service between the North American and European continents. The added competition had the effect unfettered competition normally has — airfares dropped, a lot. Whereas recently as 2016 airfares across the Atlantic could be expected to be around $1,300 to $1,500 for a round trip, 2017 airfares are as much as 25 and 30 percent less than prior years. The Wall Street Journal article about the new financial entanglements of Delta Air Lines and Air France/KLM should be an alert that airline alliances are no longer being used for the “good of consumers,” the rationale for their grants 25 years ago. Today, these alliances are being used to quell competition and control markets. After the transaction, Air France would become the second-largest shareholder in Virgin Atlantic behind Delta. The French government’s stake in Air France-KLM will be reduced from around 18 percent to 14 percent, Air France-KLM Chief Executive Jean-Marc Janaillac said. 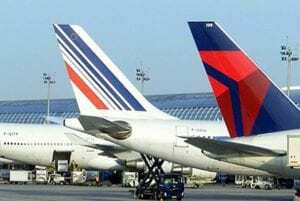 Air France and Delta have been trans-Atlantic partners since 1999, predating the French airline’s merger with KLM Royal Dutch Airlines in 2004. 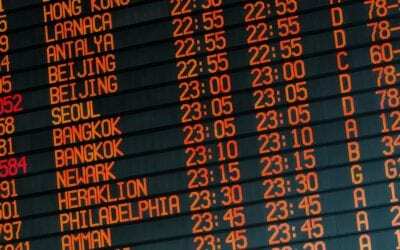 The airlines received U.S. antitrust immunity in 2009 to coordinate fares and schedules and share revenue. Such immunity is the closest thing to a merger allowed under U.S. and European rules that limit foreign shareholding in airlines. It is this “regulatory approval” that needs to become a focus for consumers and anyone interested in competition and the free market to consider. The additional entanglements of Delta, Air France, and their other alliance partners is far beyond anything envisioned by DOT back in the early 1990s. It is time for these alliances to be examined for what they have become: de facto airline mergers. 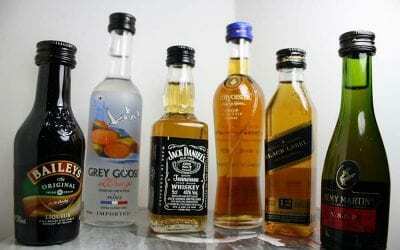 DOT should closely examine these cross-airline equity purchases and the integration of marketing, scheduling, and operations of these alliance entities. Their growth and anti-competitive activities need to be purged from our aviation marketplace. In fact, this is a complete international service merger and the Department of Justice should be involved as well.